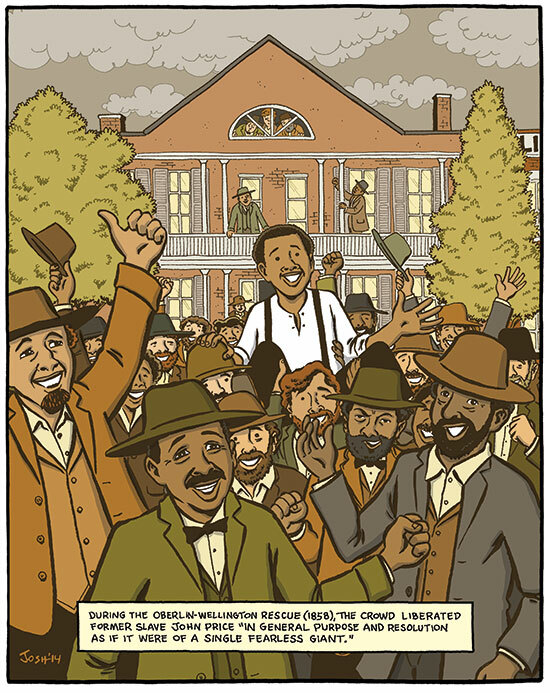 In 2007 Boston-area cartoonist Joel Christian Gill started drawing a story about a 19th-century man who escaped slavery by mailing himself to freedom in a box. 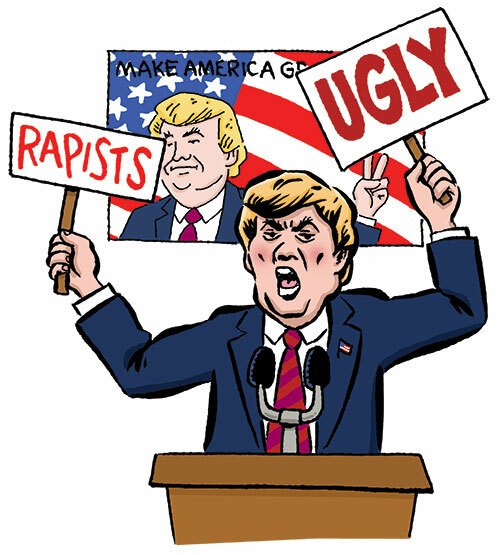 The following year he made a minicomic and went to his first comics show to sell Strange Fruit #1 (followed by six additional issues). 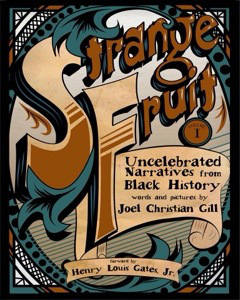 Today those stories and more are collected in Strange Fruit, vol I: Uncelebrated Narrative from Black History (Fulcrum Publishing)—with a foreword by Henry Louis Gates! These offbeat stories of heretofore-obscure African-American pioneers are filled with heartbreak and triumph. Without whitewashing the realities of slavery and racism, Strange Fruit has a wry, welcoming tone—much aided by Gill’s dynamic, inventive storytelling. After reading about such real American heroes as chess master Theophilus Thompson, bicycling champion Marshall “Major” Taylor, and lawman Bass Reeves, I’m eager to learn more—and so should you!